Summertown recently hosted its first annual team sporting event for employees and families on 11th March. Organised by a team of volunteers, the aim was to bring together office staff, workers and family members for a fun filled day to play cricket. 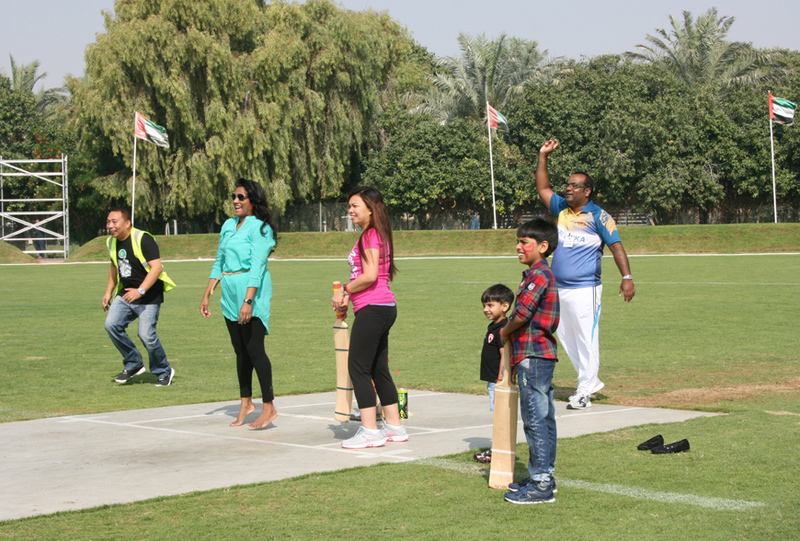 Hosted at the DP World Cricket Ground, Jebel Ali, the event was a resounding success – 120 people attended and every one was involved. The 6 over match format allowed the seasoned pros to showcase their skills, whilst allowing the novices to get their first taste of the game. Others relaxed as spectators to enjoy the fun and give their support. From the four participating teams, the ‘Red Lions’ came out on top as champions, with Palaksha Nagaraj taking the award for best batsman scoring total of 45 runs. Team ‘Yalla’ took the best bowling award with Indrajeet Umprakash attaining his impressive 4 wicket scoop in just 6 overs. Food and refreshments were supplied by employees with an array of delicacies representing all corners of the world reflecting the diverse culture of the Company – making the event a true celebration bringing together more than 15 nationalities.